Triumph, Suzuki, Moto Guzzi, BMW, Norton, Piaggio, Royal Enfield, Harley-Davidson, Yamaha, Aprilia, Indian… it reads like a Who’s Who from the world of biking but it is in fact the superstar supporting cast of manufacturers attending the Bikesure-backed Motorcycle Live 2018 at the NEC in Birmingham from November 17-25. Motorcycle Live will host more than 40 of the world’s leading motorcycle manufacturers. But what sets this, the UK’s biggest bike show, apart from any other is the fact that visitors will be among the first in the world to see brand new 2019 models in the metal. Manufacturers will be shipping newly-unveiled machinery direct from the EICMA event in Milan, which takes place just days before Motorcycle Live 2018. Bike fans will get to see, touch and – in some cases – sit on these models before anyone else. Whether you’re into sports bikes, cruisers, tourers, scooters, three-wheelers, off roaders, electric bikes, adventure machines, trials, customs, classics or even sidecars – there is something for everyone. Motorcycle Live will also house more than 200 other exhibitors showcasing all the latest motorcycle equipment. The team from Bikesure will be going full throttle for Motorcycle Live 2018. The Bikesure stand will feature a number of classic motorcycles and celebrate everything about bikes, bikers and biking while, at the same time, honouring some of the legendary manufacturers that enthusiasts the world over are familiar with and have grown to love. 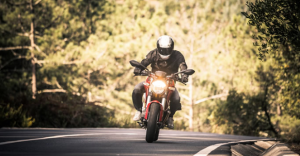 A chance to chat to the experts from Bikesure to find out how to save money on motorcycle insurance and get the best possible cover to suit you and your machine. Tickets for Motorcycle Live 2018 are now on sale.